Manchester United are reportedly so confident French star Paul Pogba is once again settled at the club that they have ended interest in Barcelona midfielder Ivan Rakitic. 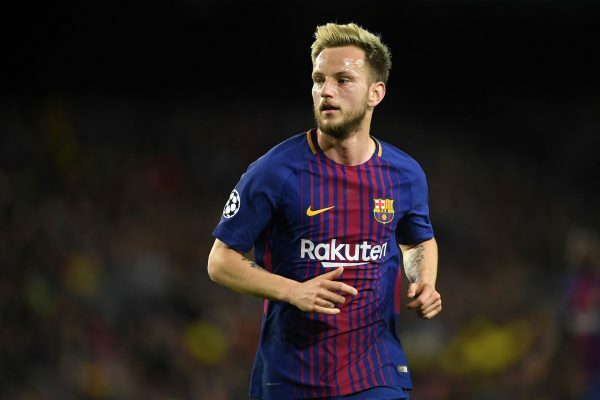 The Croatia international Rakitic was seen as a possible replacement for Frenchman at the height of the lack of certainty surrounding the club’s record signing the previous summer. But the sacking of Jose Mourinho last year, followed by Red Devils’ resurgence under Norwegian tactician Ole Gunnar Solskjaer has eased fears the midfielder will demand a move at the end of the campaign. Paul has been made central to Ole’s plans – and the interim coach will seek to build a squad around the £89 million signing once he is handed the job on a permanent basis. Manchester United always maintained the former Juventus player was not for sale at any price, in spite of his deteriorating relationship with Jose. Paul did little quell speculation regarding his future after public fall-outs with Portuguese coach – repeatedly refusing to rule out transfers amid links to La Liga side Barcelona. His brother, Mathias Pogba, recently confirmed the 2018 FIFA World Cup winner’s desire to leave Manchester United due to issues with Jose. The club are said to be in no rush to open negotiations over a new contract for the player, with David de Gea’s deal the current priority. But the club’s management are convinced he sees his long-term future at the Theatre of Dreams – and are no longer looking at alternatives if forced to sell.